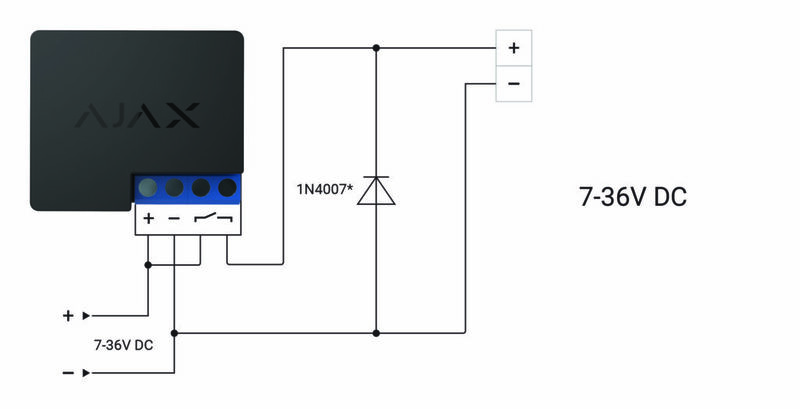 Relay contacts can switch loads up to 5A with a range of 0-36 V DC, and in 110-230 V mains up to 3 kW. They are galvanically separated from the actual device, so they can be connected to input control circuits of various other devices, thus simulating a button or toggle switch. For 110-230 V mains, we recommend the time-tested WallSwitch. The relay closes and opens contacts on the Ajax system owner’s command in the Ajax Security System app. But users can also configure the Relay to turn on or off automatically in response to arming or disarming the system. Since the housing of the device is relatively compact—38х25х18 mm—the device fits easily in a junction box, switchboard or in the housing of switching devices. 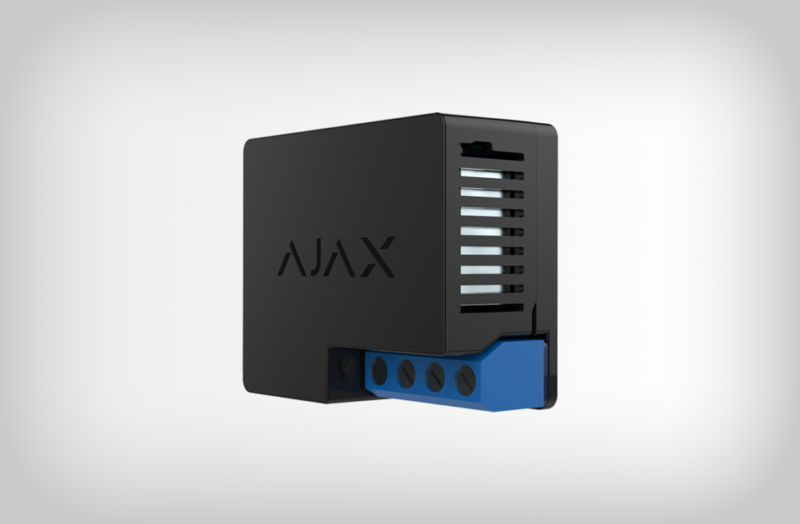 In addition to switching relay operation modes, the Ajax Security System mobile app lets users monitor in real time the power supply voltage of the relay and consumers connected via the Relay if they are powered from a single source. If the relay and consumer are powered from different power sources, only the relay voltage is displayed in the app. The app also displays the temperature level inside the Relay. Electric locks. Locked when the system is armed, and opened after disarming. Checking that everything is locked has never been easier. With two comprehensive automation devices in our product line, it would be foolish not to use the full range of their capabilities. Therefore, in future we make plans to implement full-fledged scripts to allow users to create combinations of actions. There will also be binding options for events and alarms, scheduled triggers and something else special as well.